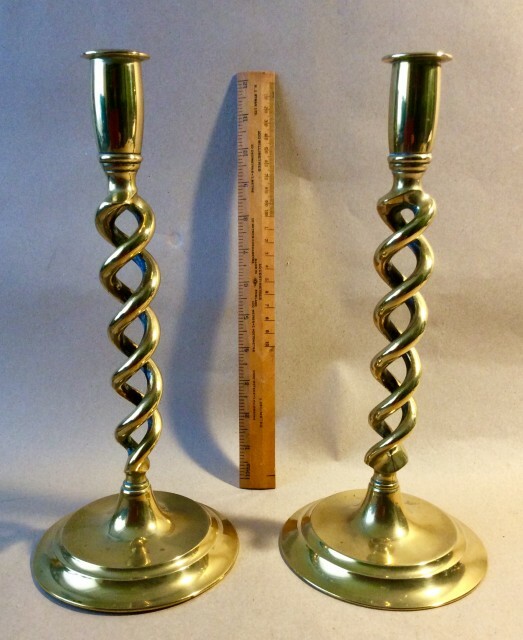 Description: Good pair of open twist candlesticks. 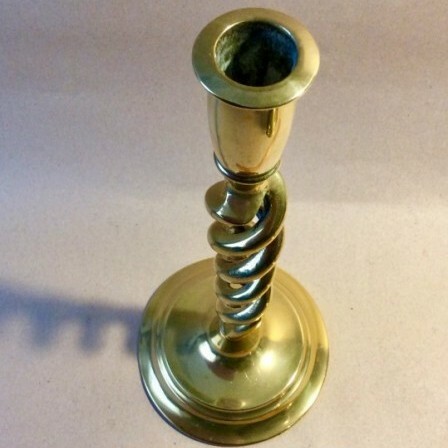 The twist seamed. The sconce and base screwed on. Usually attributed to Pearson and Page. C1920. 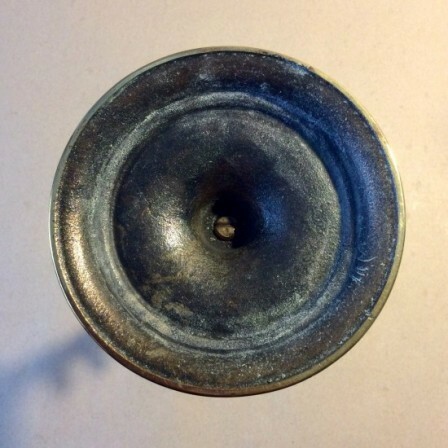 No major damage, one base bent and wobbles slightly..
Dimensions: Height 30.3cm, Diam base 13.4cm.